Jimmy, aged 12, had recently taken up cycling, and needed practice. And so we decided in the spring of 2006 that he and I would explore the country lanes around Ipswich, as often as this was possible. 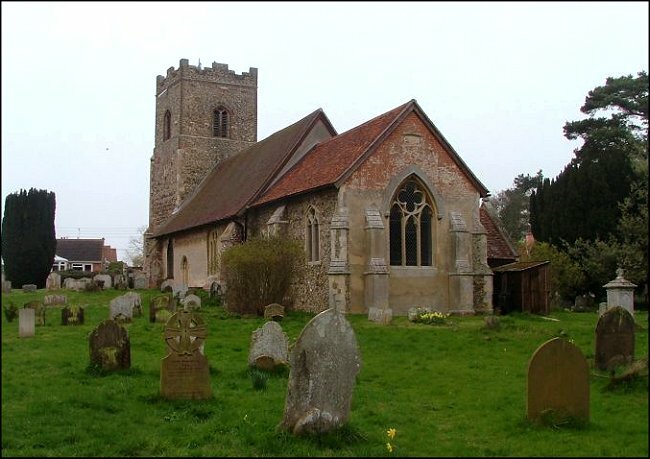 I looked forward to it, because this is a beautiful part of East Anglia, and it would also enable me to revisit churches I hadn't been inside for years. The area around Ipswich was where I did the first entries on the Suffolk Churches site. Almost seven years on, I was embarassed by what I'd written and by quite how poor the photos were. It gave me the impetus to redo Suffolk - or, at least, this part of it. For our first trip, we planned to go to Felixstowe through Nacton and Levington, and then come back through Kirton and Bucklesham. You don't have to get far from Ipswich to be in deep countryside, although it must be said that Kirton suffers a bit from the proximity of the A14 road between the Midlands and the East Coast ports. However, apart from that great highway the roads around here don't really go anywhere in a hurry, meandering pleasantly and eventually petering out in the marshes. Kirton is a pretty village, but busy enough with a shop, and a pub. For many years, some friends of mine lived in an old windmill on the way to Trimley, and I was interested to notice as we cycled past that it was again up for sale. For a moment the thought flashed through my mind that I would find out how much it was going for, but then I dismissed it. The roar of the A14 is very loud at this end of the parish. But St Mary and St Martin is set pleasantly down at the end of a quiet lane. 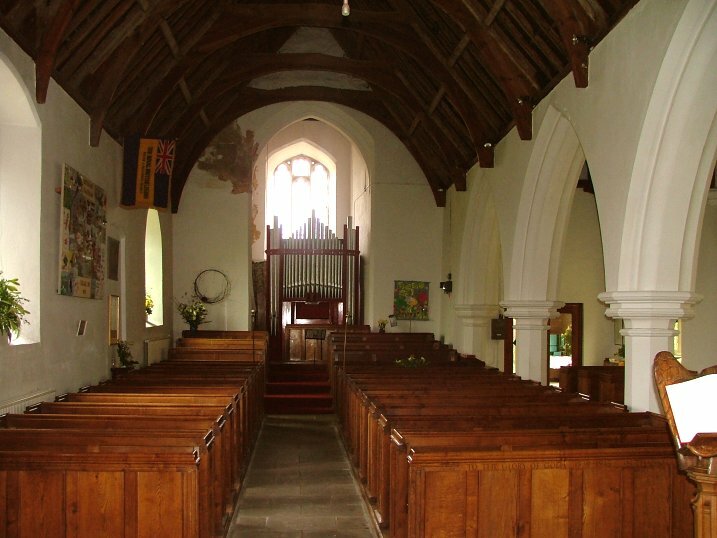 Some village churches give the impression that they were only put there to look pretty, and that nobody goes in them from one end of the week to the next. Or less frequently, in some cases. 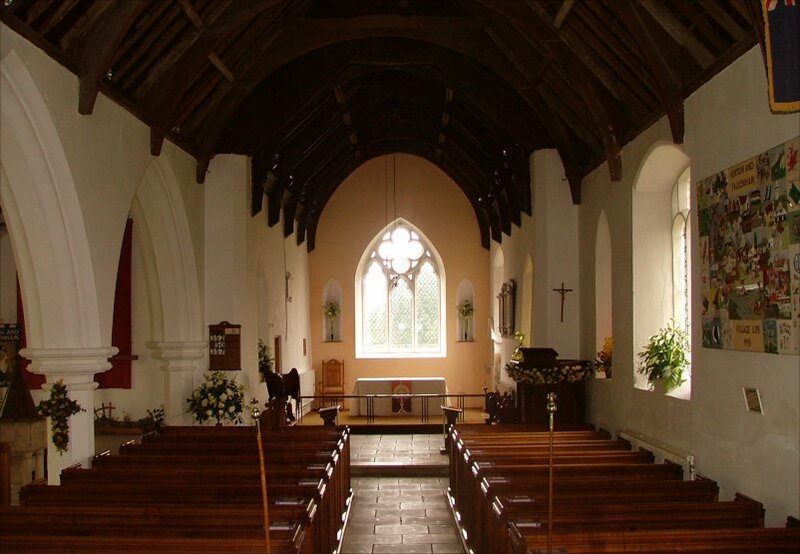 But Kirton church is quite the opposite. 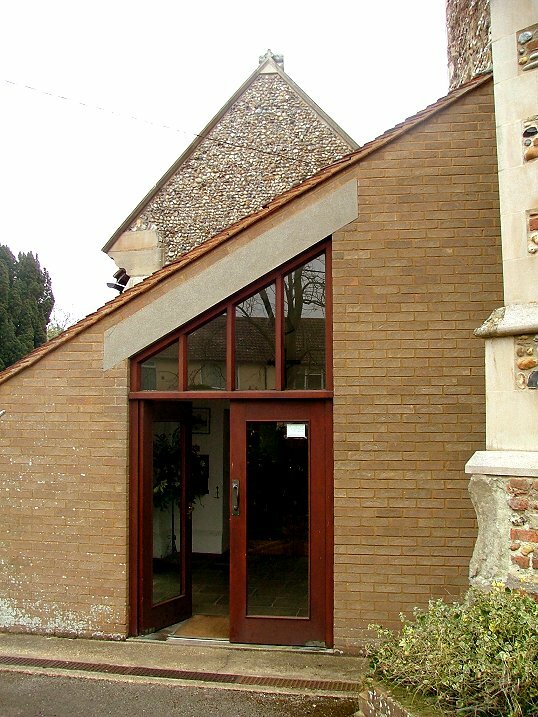 With its modern porch, its community hall, and its simple yet prayerful interior, I had always thought of this church as seeming lively, much-used and a well-loved building. 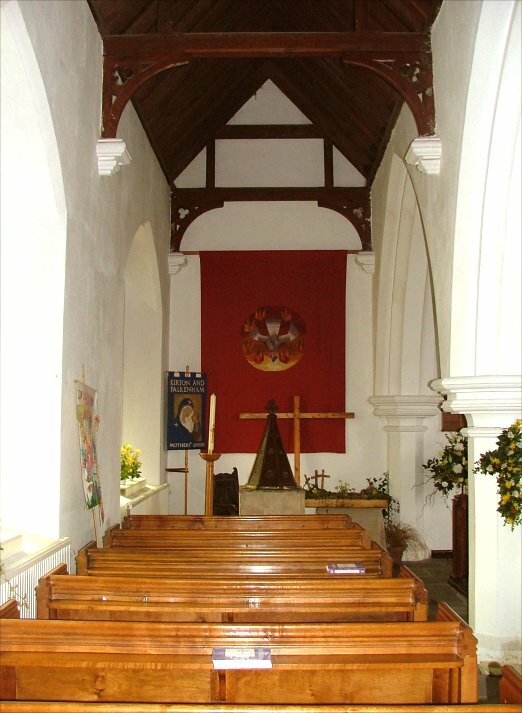 The modernisation was the work of local architect Derek Woodley, most famous for the wonderful extension to Kesgrave All Saints. 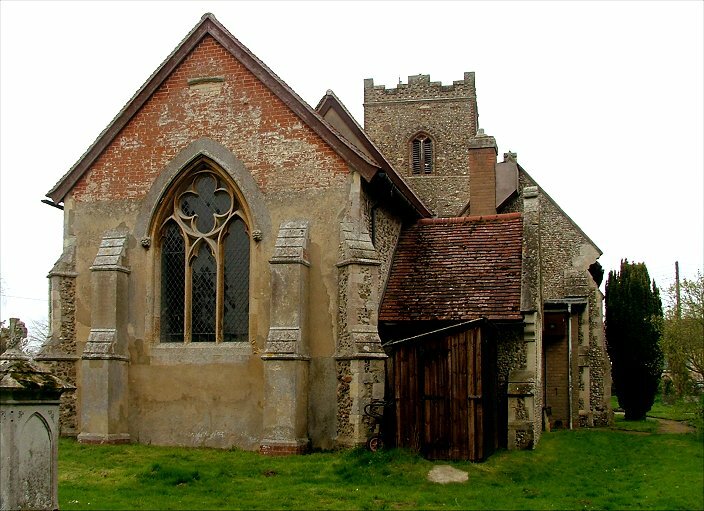 He was also responsible for the restoration of Iken church after the dreadful fire there. On the original entry for this church, I said that St Mary and St Martin has an urban feel. I meant in the sense of its activity and involvement being like those of a much busier community. 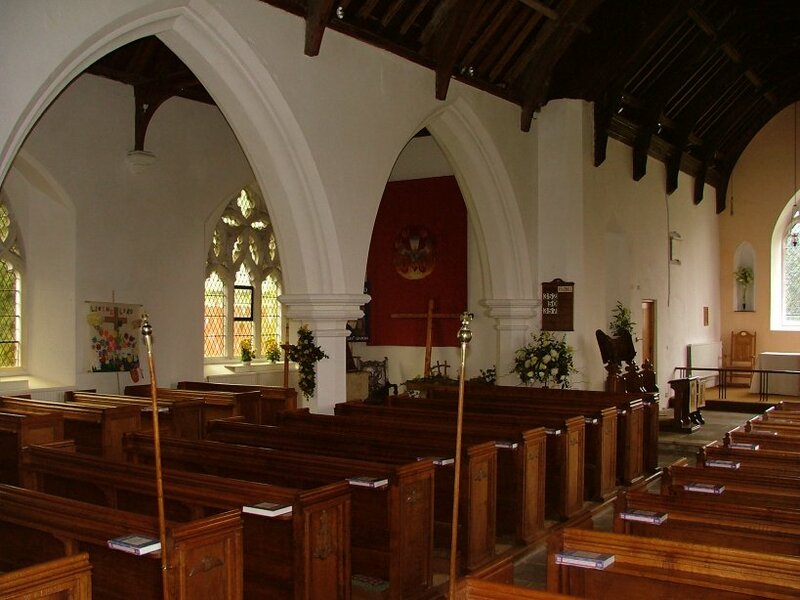 However, in the thousand or so East Anglian churches I had visited since I first came here I had seen too many low-brow anonymous late 19th century interiors, and had come to think of urban as something a village church should not be, and I immediately struck it from the record as I entered the church. Here, there is a feeling of quiet spirituality - busy, yes, but rooted in its community, and with a sense of the local. It couldn't be anywhere else and remain the same. 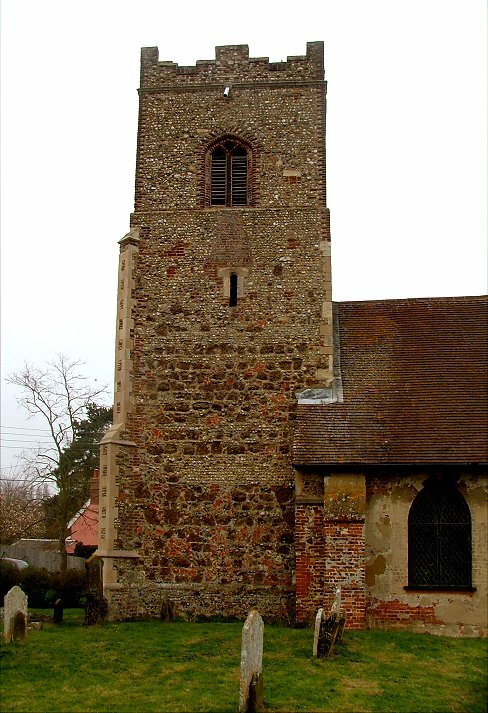 The tower is quite late, 1520s or so, and postdates the rest of the church, which is mostly 14th century. The tower incorporates blocks of septaria from the nearby beaches, and is a gorgeous honey colour. 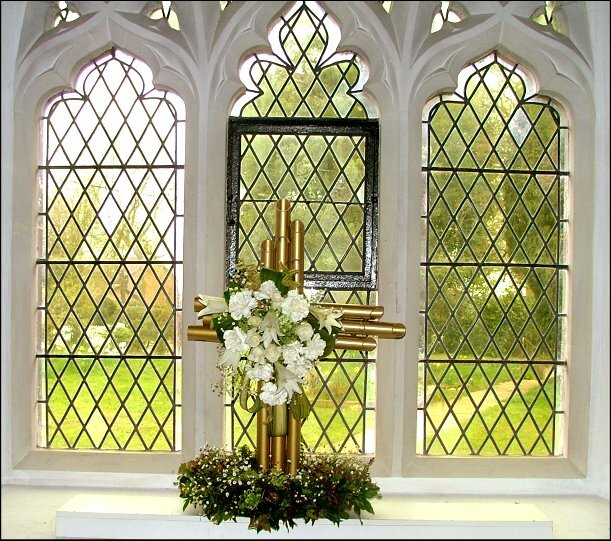 Inside, all is neat and bright, with white walls, modern glass and hangings, fitting for today's style of worship. The soft colours, the open treatment of the 19th century north aisle, and the replacing of the Norman font at the east end of this, all suit it very well. I liked it a great deal. 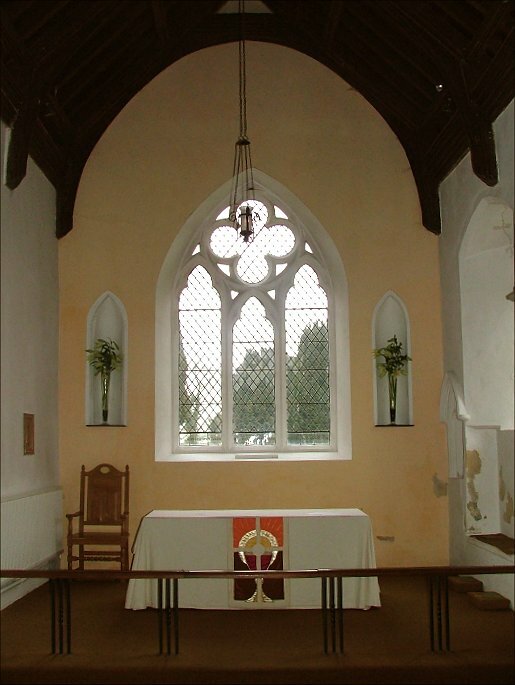 The chancel in particular is simple and lovely. 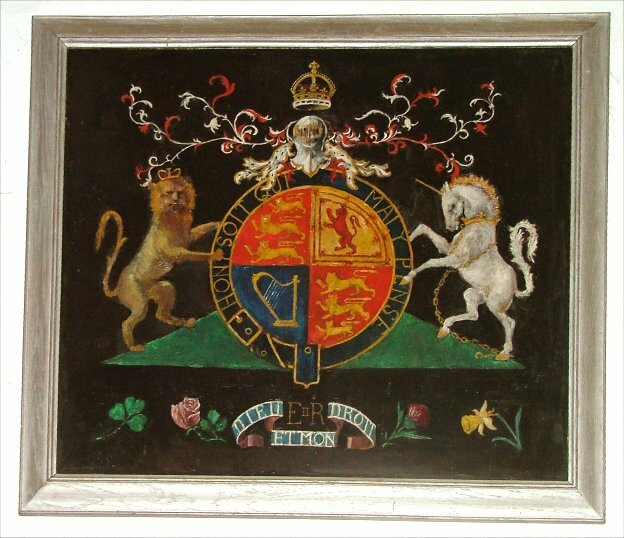 A curiosity is the royal arms to Elizabeth II. I have seen several of these in Norfolk, but I think these are the only ones in Suffolk apart from Lavenham. Despite the rural setting, in this age of the motor car Kirton is outer Trimley, really, which is outer Felixstowe, I suppose. 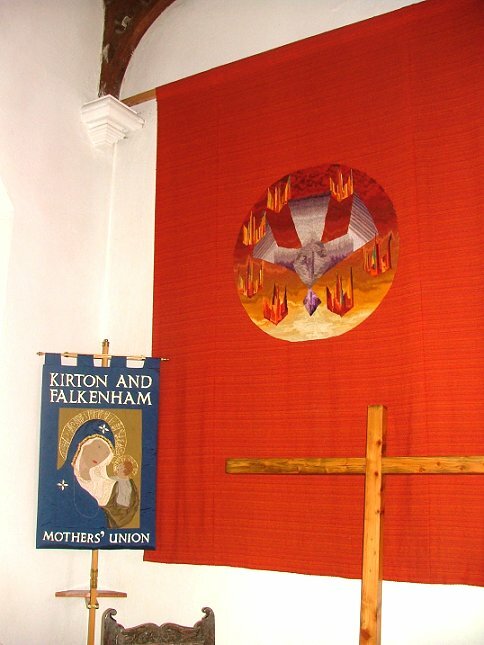 But there is still an overwhelming sense of being in a proud, independent village, straggling pleasantly into Falkenham, giving the combined village two churches - St Ethelbert, Falkenham is about a mile away. Incidentally, the unusual dedication is a mistake. 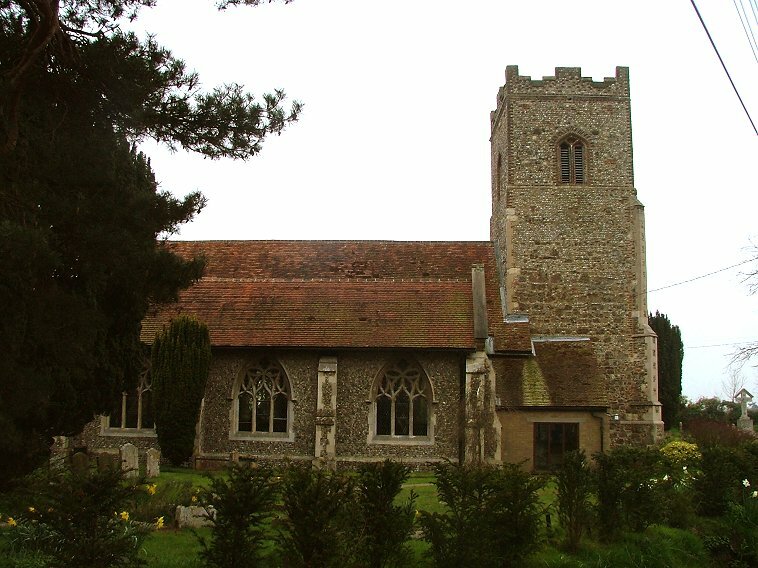 The medieval dedication of the church was to St Martin. 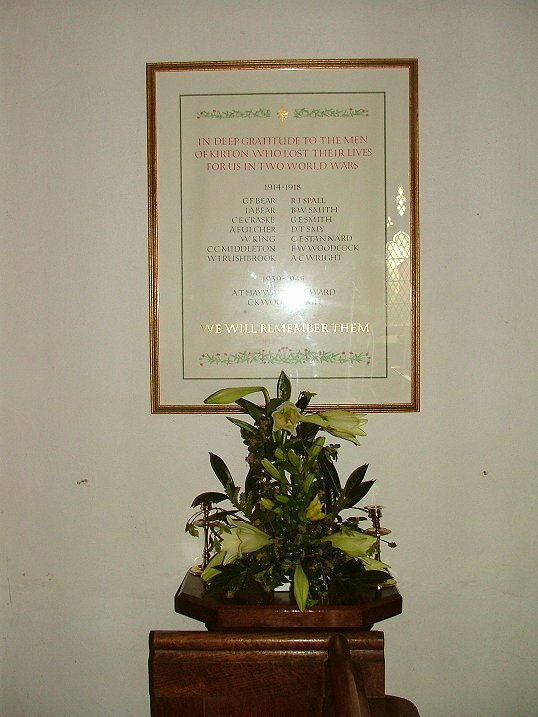 However, Shotley, across the Orwell, was formerly known as Kirketon, and the church there is dedicated to St Mary. 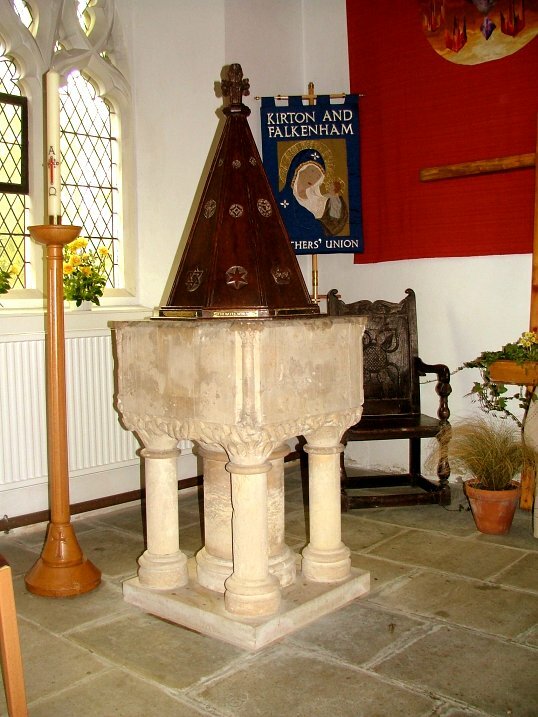 The 18th century antiquarians who researched church dedications (they had been redundant for 200 years) confused Kirketon with Kirton, and conflated the two dedications.